The BFI have released a brand new trailer for Orson Welles’ noir masterpiece Touch of Evil, which returns to cinemas across the UK from 10 July. Charlton Heston (starring here as Mexican border cop Mike Vargas) was apparently instrumental in persuading B-movie producer Albert Zugsmith to hire Orson Welles – who hadn’t directed in Hollywood for a decade – to make Touch of Evil. Beginning with one of the most celebrated tracking shots in cinema history, a bravura three-minute take in which a bomb is planted in a car that then explodes after crossing the US border, Welles created a baroque, highly stylised masterpiece from inauspiciously pulpy source material. 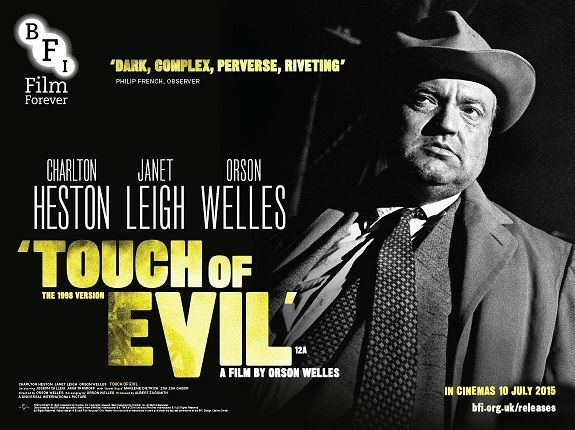 With its story of murder, marijuana and police corruption, Touch of Evil is considered among the last of the 1940s/50s cycle of crime thrillers known as film noir. Welles’ vivid turn as corpulent bent cop Quinlan provided one of the genre’s most memorable villains. 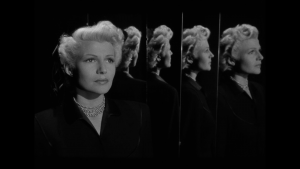 Iniquity south of the border also colours Welles’ prior film noir, The Lady from Shanghai (1947), starring his then-wife Rita Hayworth.